What Are the Pros & Cons of Property Auctions? 1. What are real estate auctions? Property auctions take place due to many reasons, but the most common cases occur because the homeowner failed to pay either the lender (mortgage) or the government (taxes). These situations are categorized as distressed properties. 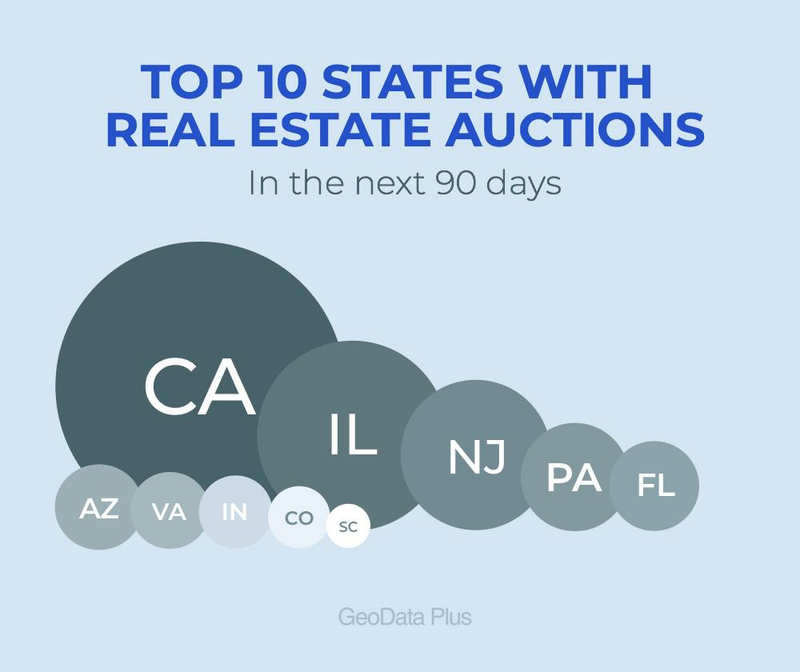 GeoData Plus provides a full search for distressed property auctions, so you can stay ahead of the curve and know what properties are on the auction block. On some occasions a real estate agent and a seller will decide to sell the property via auction without any financial issues involved, as they see an advantage with the timing or the value of the property by selling it through these means. However, non-distressed properties going to auction are more of an exception to the rule as far as property auctions are concerned. Property auctions are a fast-track way of selling property, and generally involve a quickly implemented, mulit-channel marketing plan as a means of publicizing the real estate sale. For real estate agents and sellers alike, they involve mass-promotion that can be quite advantageous (if implemented correctly) as far as branding is concerned for the agent(s) involved. Just like a normal auction, real estate auctions entail open, competitive bidding between multiple parties. Nowadays auctions can also take place online, not just in person. Real estate auctions present opportunities for real estate agents and sellers alike; however, for the seller it doesn't present many advantages, as they are generally forced to save face from further financial issues by engaging in a property auction. Real estate auctions also have some risks involved for all parties. A common misconception regarding auctions is that they only allow purchasers to acquire properties with cash only. That is false, as you can use traditional loans to purchase auctioned real estate, but it may take longer to get approval and have the transaction complete. There are two primary types of distressed property auctions: foreclosure auctions and tax lien auctions. The former occurs when the homeowner fails to pay their mortgage for several months, and the latter is also involved with delinquent payments, but specifically with failure to pay property taxes instead of issues with payments to the mortgage. 4. What are the pros of real estate auctions? The fact of the matter is that the seller is not in an advantageous position if they are selling their home via auction as a distressed property, as they have failed to meet the requirements of their financial commitment. However, offloading the financial burden can allow them to start anew once they clear the hurdles, and it can create an opportunity for the buyer looking to capitalize on the situation. 5. What are the cons of real estate auctions? 6. What information does GeoData Plus have on real estate auctions and how does one find it? In GeoData Plus, one can search for distressed property auctions by date, property type, location, borrower name, and lender name. When you search by date, you'll find there are some auctions that are happening on the same day.